These are just a few examples of actual emergency costs, and though many emergencies have a lower price tag, plenty have a higher one, as well. It’s important to consider how you would handle such situations before they happen to one of your pets – doing so will not only allow you to be more emotionally prepared, but better financially prepared as well. What's the risk of not planning? Sadly, lack of financial planning inevitably leaves pet owners with the heart-wrenching decision to elect less-than-ideal care or even euthanasia – even when the condition is completely fixable. Or, the pet owner may take on credit card or loan debt that they have no real means of paying off, plunging them into financial ruin. The fact is, good veterinary medical care isn't cheap, and this is even truer when that care is needed on an emergency basis. And because emergencies tend to happen at the most inopportune times, you will most likely be facing the reality of these costs at 3 a.m. on a Wednesday morning, noon on Christmas day, or at any other time when you're least expecting them, and potentially least able to pay them, as well. Because you can’t predict emergencies or always prevent them, you may one day be faced with having to manage them when they happen. When your pet is in pain, you want to be able to focus on getting your pet better – this means allowing the veterinarian to treat your pet to the best of their ability, without worrying about the cost. With a little bit of forethought and planning, this can be easily achieved. What are some options for financial planning? Of course the ideal scenario in emergency situations is having the disposable income to cover unexpected expenses without worry. If this is you, be thankful. Better still, consider donating some money to a charitable fund (e.g. one at your local pet emergency hospital) to help others afford the best care for their pets. In times of emergency, many people turn to friends and family for the money to cover their pet's necessary medical expenses. While this can be a viable solution in some situations, it can also lead to a straining of those relationships when it comes time to pay them back. To avoid uncomfortable situations with your nearest and dearest, this option should really be used as a last resort. This is what most people reach for in times of pet emergencies -- credit cards. In some cases they can truly be life-savers, providing an automatic short-term loan to alleviate the sudden and immediate need for funds. But do keep in mind that they often come with a hefty interest rate once your grace period expires and it’s proven that while most people have every intention of paying their debt off every month, very few do. And if you're already near your limit, you may be faced with your card being declined just when you and your pets need it most. Similar to credit cards, in an emergency situation, a third-party health care line of credit can help to alleviate the initial financial burden. However, it is very important to realize that though such credit lines may come with a significant interest-free repayment period, one missed payment, or even one late payment, can trigger an interest rate hike that can be even higher than that of your regular credit cards. Read the fine print carefully. The two most popular health care line of credit options are listed below. A dedicated pet care savings account is a great idea, but one that requires an awful lot of discipline and a high contribution rate to reach a balance that would help significantly in a true emergency situation. Think about the costs outlined above – if you contributed $50 or $100 a month to your pet care savings account, it would still take you years to build up enough savings to cover any of those treatments. So what would you do if an emergency happened in the first few months (or even year) of having established your account? Savings accounts can be wonderful to pay for the routine costs of pet care (wellness check ups, dental cleanings, etc. ), but they often just don't cut it for emergency situations. We're in good hands: Pet insurance! This is a hot topic and an option that is, fortunately, gaining traction now in the U.S. (In England, where I did my vet schooling, pet insurance is the norm rather than the exception.) One thing to keep in mind is that pet insurance is NOT about coming out ahead financially in the end, no insurance policy is. It's about peace of mind and not having to make a decision about your pet's wellbeing based on finances. For some people it even settles family disputes when one member of the family wants to spend more to help their pet get better than another. If an insurer is paying 80-90% of the bill those disputes often go away. 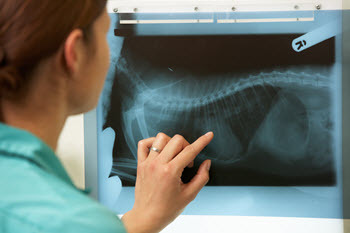 I truly believe that all pet owners should give serious consideration to pet insurance. Pet insurance is truly the best form of financial risk management in the event that an unexpected accident, illness, toxicity, or other emergency befalls one of your pets. As with everything though, you need to read the fine print, comparison shop, and get recommendations in order to find the best insurance company for you (speak with pet-owning friends and family, and speak with your veterinarian). My typical recommendation is for every pet owner to get a good policy that at least covers the unexpected – accidents, illnesses, and other emergencies. If you wish to have a policy that covers wellness care and elective procedures, that's more of a case-by-case decision and you really need to read the policy thoroughly and crunch some numbers. Based on both personal experience and the experiences I've heard of from other pet owners and veterinarians, there are three pet insurance companies I typically recommend (listed below in alphabetical order). For additional help and insight on figuring out if pet insurance is “worth it” and which company and policy would be best for you and your pets, please read our “Is Pet Insurance Worth It?” and “How To Choose A Pet Insurance Company and Policy” articles. And to read other people’s reviews of their pet insurance company, check out a reputable review site like Pet Insurance Review. Charity funds can sometimes help with a portion of your pet's emergency medical care. However, these funds are often limited, especially in this current economy. There may be significant requirements to meet and even if you qualify, it may only cover a few hundred dollars of the bill. You shouldn’t count on these funds, but if you are desperate, they may be an avenue to explore. You can check with some of the larger national pet charities, discuss it with your veterinarian. This American Animal Hospital Association article lists some funds and pet charities you might want to check out. Whichever financial plan you choose, it’s important you have something in place for those unexpected expenses. Hopefully your pet will be healthy and never experience a serious illness or emergency – but regardless, the peace of mind in knowing you have a plan should something happen is worth it.